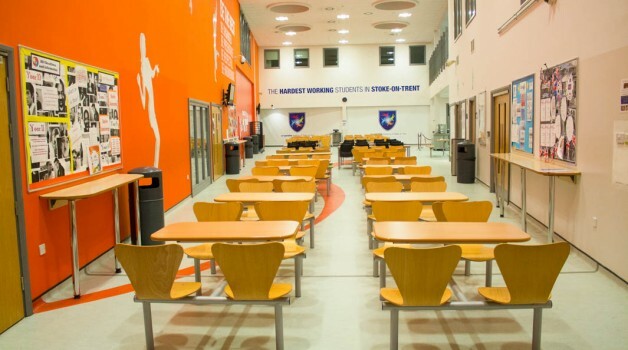 The atrium is situated in the centre of The Co-operative Academy and forms the hub for all activity on a daily basis. The area is spacious and receives an enormous amount of natural light. Situated adjacent to the hall, this area is normally requested as part of the hall booking and serves very well as somewhere to serve your customers food and drink. 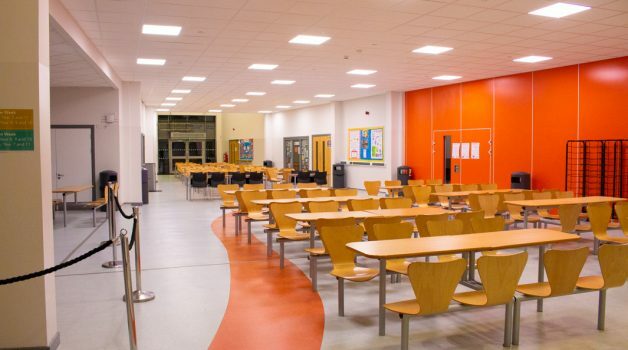 The Atrium naturally promotes a more social environment with it’s bright colours and relaxed feel. Ideal for large gatherings, Weddings and much more besides. 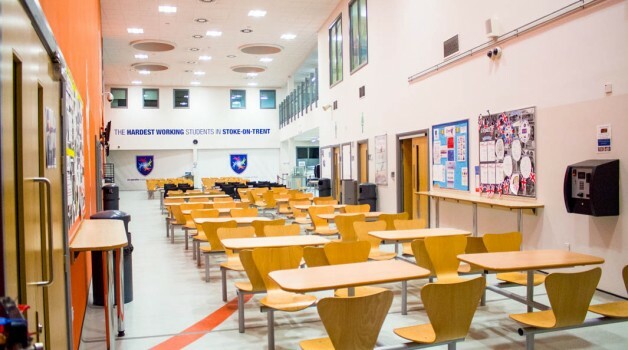 The Co-operative Academy of Stoke-On-Trent is a new build school located in Tunstall, Stoke and is home to incredible facilities both indoor and outdoor. 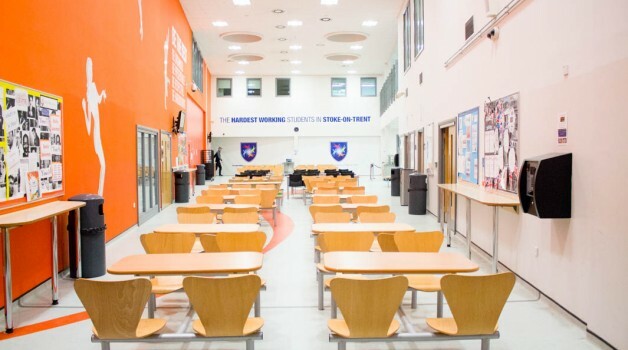 It really is an ideal space for bookings, events, classes and functions. With nearby bus and tram stops plus it is under 10 minutes’ drive from Stoke-On-Trent itself. The Co-operative Academy has great transport links meaning that getting to this location shouldn’t be an issue.